Vinaigrette dressings are made by mixing oil with something acidic such as vinegar (hence the name vinaigrette). The mixture can be enhanced with salt, herbs, spices, and other added ingredients. During the 19th century, the dressing was even known as “French dressing” due to the French origins of its name. Vinaigrettes are generally used as salad dressings, but can also be readily used as marinades. The use of sugar or other sweeteners is not traditional, but are often added to more contemporary and modern vinaigrette recipes. Traditional recipes call for three parts oil and one part vinegar and mixed until emulsified. However, there are plenty of recipes that call for unequal ingredient parts and are not emulsified. Two vinaigrettes you are probably most familiar with balsamic vinaigrette and apple cider vinaigrette. We even created a pretty tasty (even if we do say so ourselves) parmesan pepper vinaigrette as well. 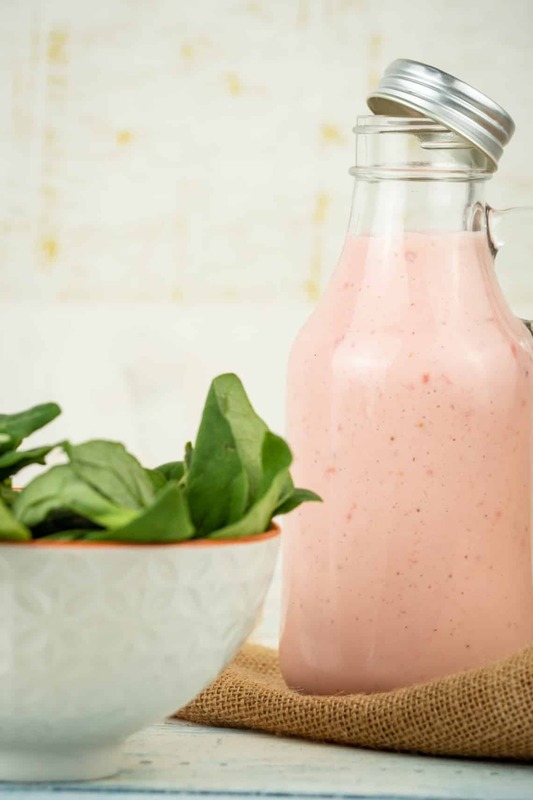 WHAT IS KETO BERRY VINAIGRETTE? As mentioned above, a myriad of different additives can be used to flavor the dressing, paving way for delicious concoctions. In this case, we have made modifications. First, we used a mix of two berries (raspberries and strawberries) to give this a nice sweet taste. 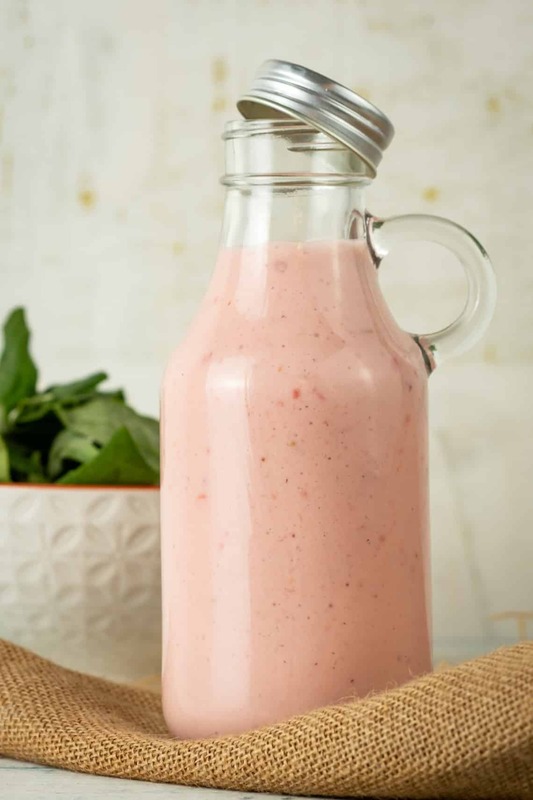 Raspberries are a usual ingredient in some vinaigrettes, but strawberries also make a delicious addition. The second modification is the use of coconut milk alongside the avocado oil. 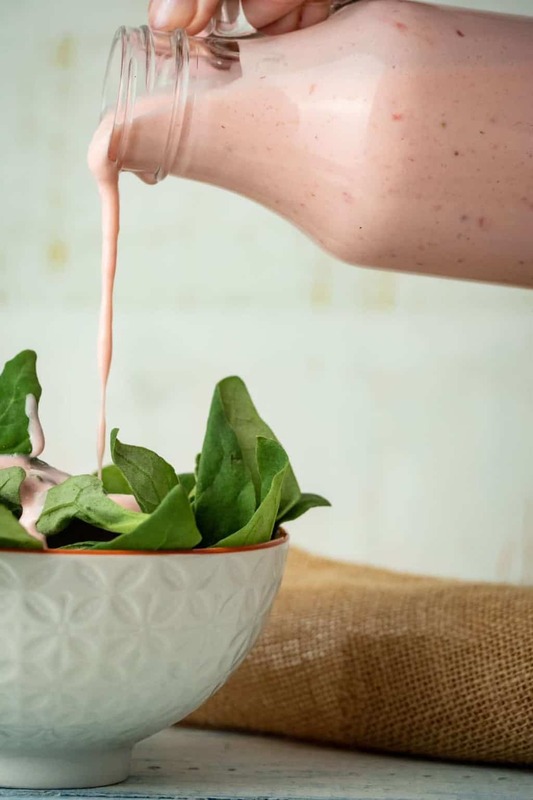 The coconut milk helps to give this dressing a creamier texture and taste. It also allows for more yummy fats added to the recipe. It really is quite delicious! To make this awesome berry vinaigrette, you will need a few ingredients you might not consider to be kitchen staples. You will need to round up the following items to make this recipe a success. By now you know this recipe includes the addition of coconut milk. Coconut milk is not something we use often in keto cooking, so let’s take a moment to learn a little more about this wonderful ingredient! Coconut milk comes from the white flesh of mature brown coconuts, which are the fruit of the coconut tree. The milk has a thick consistency and a rich, creamy texture. The milk is popular in Hawaii and Southeast Asian cultures. Coconut milk should not be confused with coconut water, which is found naturally in immature green coconuts. Unlike coconut water, the milk does not occur naturally in liquid form. The solid flesh is mixed with water to make coconut milk, which is about 50% water. By contrast, coconut water is about 94% water. It contains much less fat and fewer nutrients than coconut milk. WHERE CAN I FIND COCONUT MILK? You can find coconut milk readily in your local grocery store. The key, however, is to know where to look for it. Most, if not all, grocery stores have a small section dedicated to International foods. Asian foods are among those represented. It is here, in this International section, that you can find canned coconut milk. And of course, if for some reason you are unable to find it there, a quick trip to Amazon will take care of your coconut need. 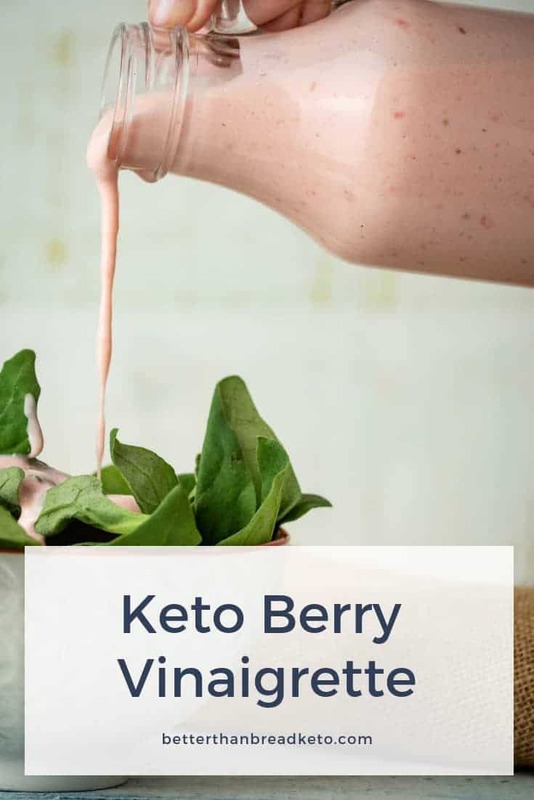 Making keto berry vinaigrette is incredibly simple. Having said that, make sure to take note of the instructions to ensure this dressing will turn out just as it is supposed to. 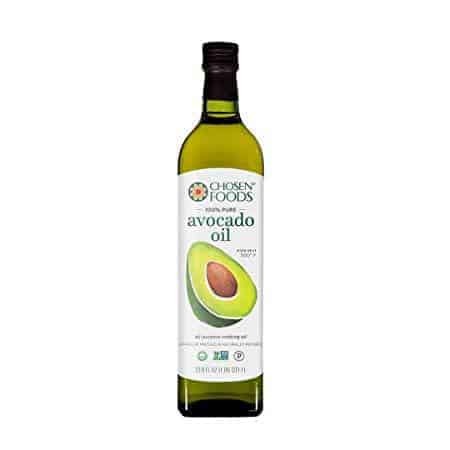 Begin by combining all ingredients except the avocado oil in a high-speed blender and blend. While continuing to blend, slowly pour in the avocado oil until fully incorporated. Pour into a pourable, air-tight storage container, such as a Mason jar. Refrigerate for at least an hour before serving. Dress (or marinade) and enjoy! CAN VINAIGRETTE DRESSING GO BAD? Yes, of course! A dressing is no different than any other food and can go bad. What’s more, is that fat (including oils) can become rancid after an amount of time. Processed dressings, such as those you buy in bottles in the grocery, have a much longer shelf life than those you make yourself. This is especially true if they remain sealed. However, making your own changes the story. Since this recipe is refrigerated, it will remain edible longer, but don’t think you can make it with the idea you can keep it for months. HOW LONG WILL BERRY VINAIGRETTE KEEP? A safe idea is to plan on keeping this dressing for not more than a couple weeks at most. This also is dependent on the age of the berries you use as well, as they can go bad inside of the oil and coconut milk more quickly than the other two ingredients themselves. 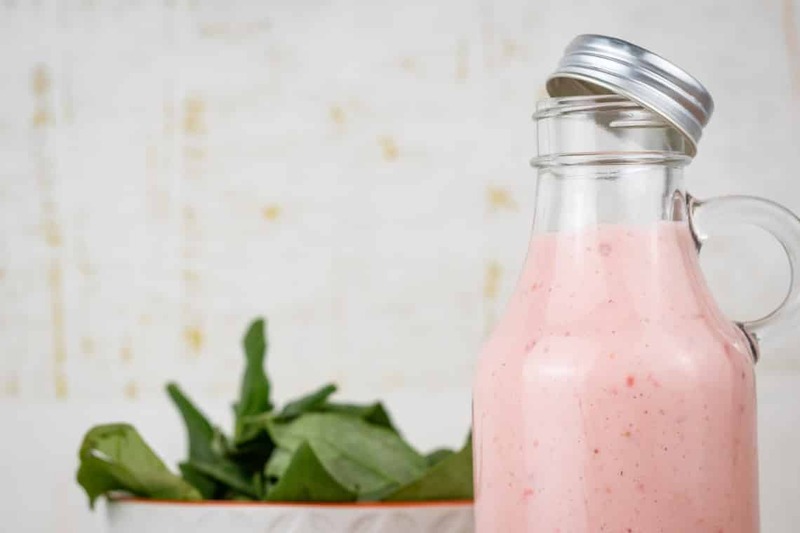 Store this keto berry vinaigrette in an air-tight, pourable container such as a Mason jar. Alternatively, if you have an old-fashioned glass milk bottles on hand, they make a great storage container as well! CAN VINAIGRETTE BE STORED AT ROOM TEMPERATURE? Absolutely not! The dressing would go bad incredibly quickly and would be unsafe to eat after a short while. You should never, for any reason, attempt to store this (or any) dressing at room temperature! WHAT SHOULD I DO IF THIS VINAIGRETTE IS TOO SOUR? The easiest way to help the acidity and sourness of anything is to add a bit of sweetener. In this case, add a small amount (1 tsp at a time) of Lakanto Powdered Monk Fruit Sweetener until the sweetness starts to overcome the sour. It shouldn’t take much. The berries add a nice, yet subtle, component of sweetness to the dressing that should take care of any overpowering sour you may taste. Alternatively, you can lower the amount of vinegar used when making the vinaigrette. For a nice vinaigrette flavor, you really shouldn’t, but of course, this is completely up to you and your personal taste preferences. WHAT CAN I MARINADE WITH THIS DRESSING? The best meat to marinade with this keto berry vinaigrette is chicken. Chicken will more readily absorb the flavors of this vinaigrette. However, other meats can be used as well.